Make a replica fossil, learn to snowshoe or build a balloon launcher – everyone can have an affordable adventure this Family Day. Children enjoy activities at the Frank Slide Interpretive Centre. Free admission and special programming at provincial parks, museums and historic sites are yours to enjoy Monday, Feb. 18. Many facilities have activities and events for all ages throughout the long weekend. In 2018, more than 7,000 people enjoyed Family Day at provincial heritage facilities. This year, there are even more ways to discover something new. Come between 10 a.m. and 4 p.m. for a day of do-it-yourself science. Try your hand at some exciting activities, crafts and experiments, all using materials you can find around the house. Make your own balloon launcher, discover the chemistry behind playdough and watch our live science show in the theatre for more fun ideas to try at home. Feed your curiosity from 10 a.m. to 5 p.m. Journey through millions of years of history and see thousands of objects, from dinosaurs and mammoths to tiny insects and glowing gems. See how Alberta’s Indigenous communities share knowledge and values through generations, and meet the people who shaped our province. Plus, visit thousands of live critters and have fun in our Children’s Gallery, complete with an archeological dig pit. Get ready to discover a history of Alberta you won’t find anywhere else. Special Family Day programming will be available all weekend. 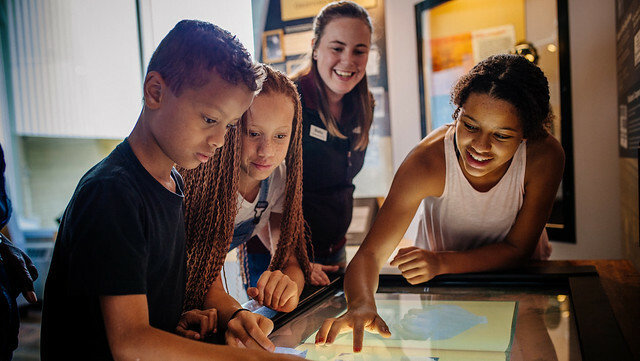 On Monday, enjoy a free presentation by Curator of Dinosaurs Donald Henderson, make your own cast of a fossil and watch as your kids learn, dig and create. Pre-registration is recommended for two hands-on programs being offered for a small fee: Dino Adventure Hour (ages three to six) and Fossil Casting (ages 4+). Alberta provincial parks in winter are for more than just cross-country skiing. Try snowshoeing, fat tire biking, ice fishing, tobogganing, skating and downhill skiing, along with festivals, in Alberta’s most exciting season. The fun keeps going all year. Visit AlbertaParks.ca/events to find a list of upcoming events. Find a whole day of outdoor fun and entertainment at the annual Crimson Lake Winterfest, starting at 11 a.m. Snowshoeing and ice fishing demonstrations are just a few of the activities to try out. Reduced camping rates let you fill your weekend with outdoor adventure. A weekend full of events and activities starts Feb.17 with Ice Fishing Fun Day from 10 a.m. to 4 p.m. No experience required. Or enjoy free hotdogs, hot chocolate and coffee. Hinton’s annual French culture festival, Bonhomme Carnaval, kicks off on Feb.18 between noon and 4 p.m. There will be free cross-country skiing, free kick sleds and traditional French music. The Family Day Snowshoe Walk starts at 1 p.m. Snowshoes are provided, so just show up to enjoy this guided forest walk. The Family Day weekend also marks the first of two annual Family Fishing Weekends. You’re invited to head out and discover the lure of fishing without the need to buy a sportfishing licence. Of course, all regulations still apply. For more information, visit the Family Fishing Weekends website. Albertans of all ages are invited to enjoy free family fun from 11 a.m. to 4 p.m. on Family Day. Venture through the Lost in the Legislature History Hunt, take in musical and magical entertainment by world-class local performers, try out some crafts and listen to stories with Rocky the Ram. The Legislative Assembly Visitor Centre will have free exhibitions, educational activities and the immersive historical film Our People Our Province. A variety of food vendors will also be on site. More information at the Legislative Assembly Visitor Centre. For a full list of events, visit the Alberta Culture and Tourism blog. Search for more events throughout the province by visiting the Travel Alberta website for packages and offers.